Welcome to the forum! Those are a pair of beauties you have there! You're gonna make a lot of people jealous, now. So many guitars; So little time .. 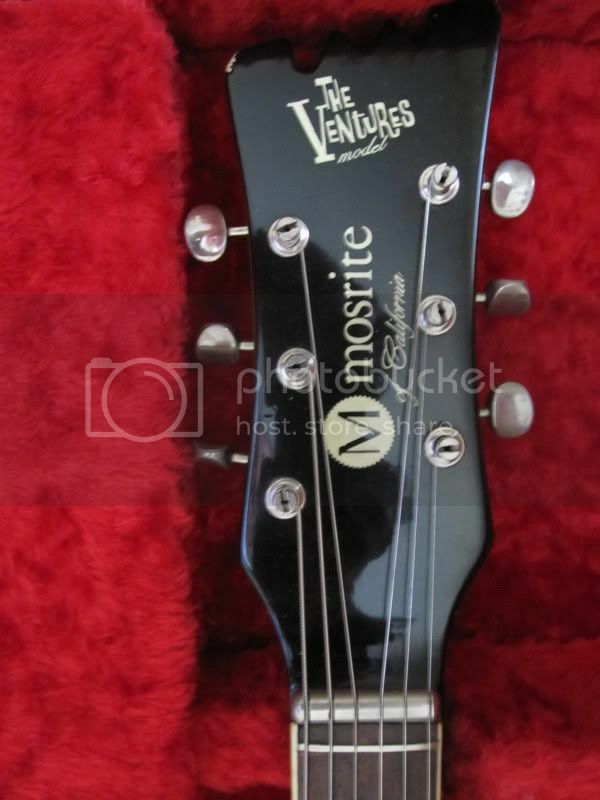 The serial #'s seem to be almost random.. Have a 1964 Ventures Model. 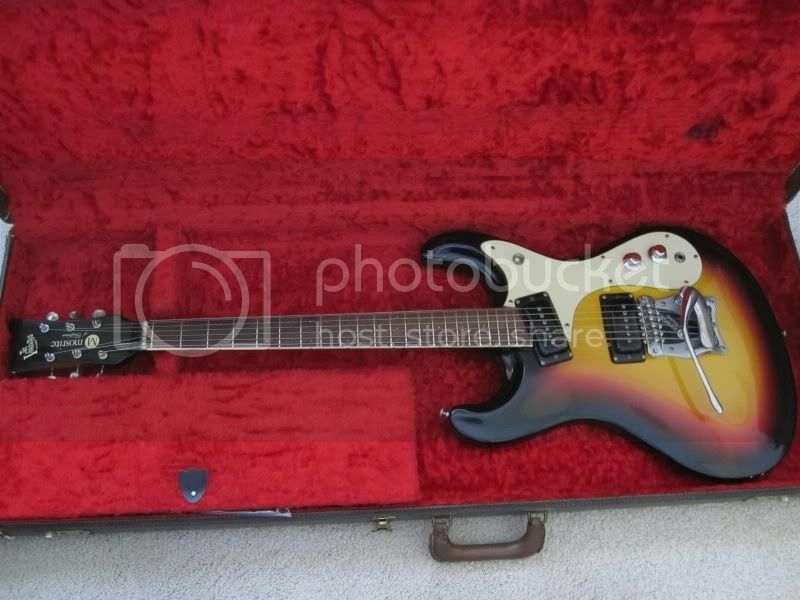 neck #1344 I purchased it in Dec/64-Jan65.. This number may very well be meaningless in dating the guitar. I have never taken the neck off the guitar but if will help clarify some numbering issues I will. 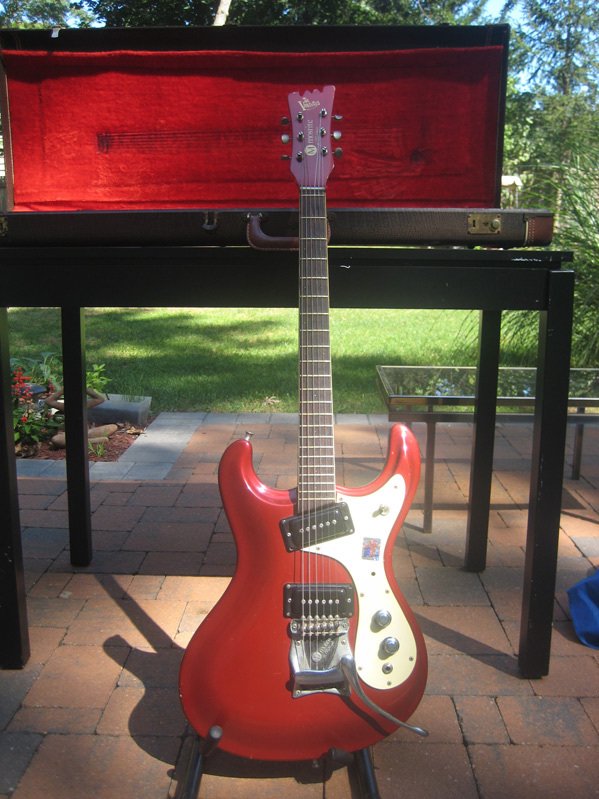 This guitar had Mosrite Logo pickups( now has EF Elliott's).. 8 screws on the pickguard, Vibramute, Front jack, 4 bolt neck with plate, truss rod at the heel of the neck and finished with Candy red on the neck and headstock. Which I don't see any of except on the knock me out record cover. I had a conversation with Semie Moseley when he was in NC and he had some interesting things to say about this guitar and when it was made. But that's for a different post. Admittedly, he did not keep serial #s well sequenced and lost a lot of the records of his earier guitars in a fire when he was out west. Anyway, I am still very interested in properly dating this guitar.. I am the original owner so the time line for when it was purchased should be in line with when it was made.. Here is an interesting blog I came across.. 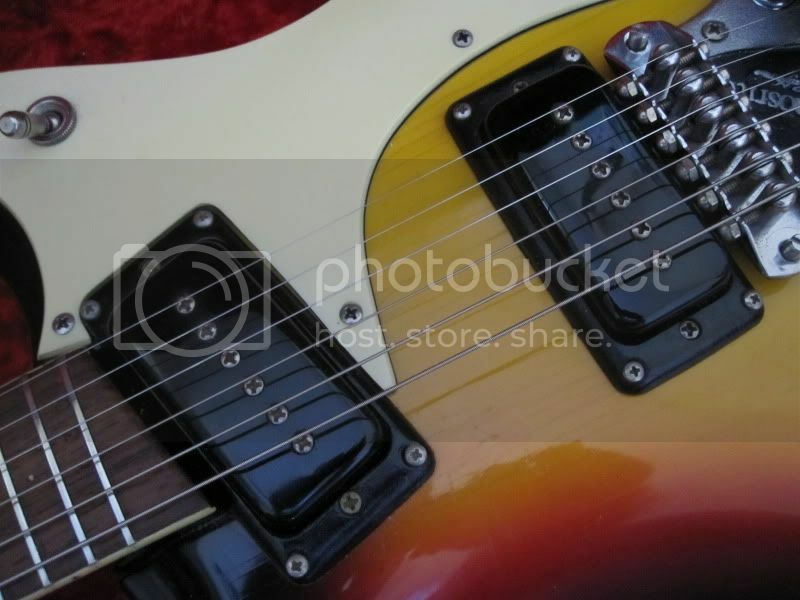 I think that a 64 model should have small screws holding what looks like the neck plate on with the actual neck screws located under the cover. 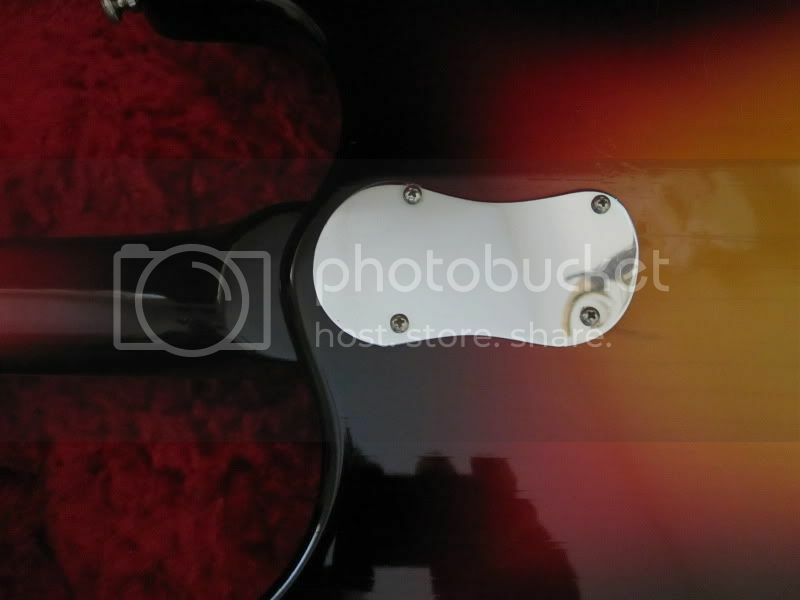 sleeperNY wrote: I think that a 64 model should have small screws holding what looks like the neck plate on with the actual neck screws located under the cover. I will check the neck at some point.. And to just clarify the description I did replace the frets about 25 years ago.. Here's my '64, serial #0730, smooth pickup covers with cast resin rings, smooth spun knobs, small Ventures logo, screw on neck plate hiding neck bolts, pots date to 49th week 1963 and 31st week 1964. This guitar is all original purchased by my brother in 1965, with the bridge pickup having been rewound by Ed Elliott, July 08'. This is very interesting. 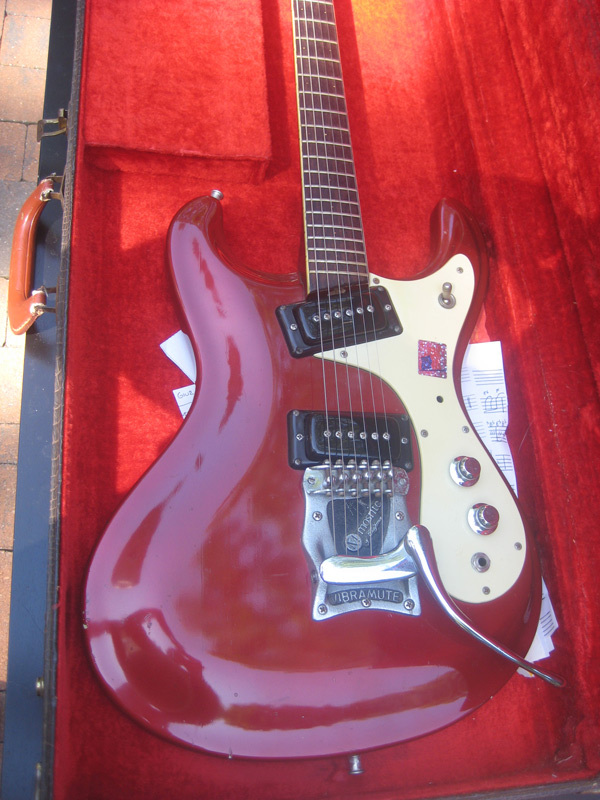 So, as I understand, in 1964 the Mosrite pickup covers did not have the Mosrite logo on them? When did they start doing that?